Having a romantic, candle-lit dinner with your partner is an effective way to bring the two of you closer at any stage of your relationship. Planning the perfect romantic dinner "date" can be daunting; however, there are several tips to follow to help make it a memorable night. Candlelight: A necessary part of the romantic experience. Lighting up the house with candles is a classic way to establish a romantic mood. 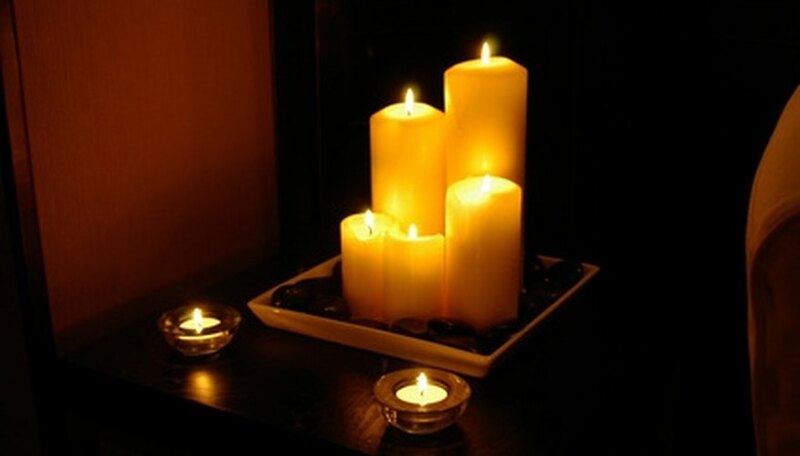 You should also consider using scented candles to help create a relaxing atmosphere. Be aware, however, that the scent from the candles should not be overpowering or distracting. With that in mind, vanilla-scented or beeswax candles are among the most appropriate types. Clean the house, especially around the area where you will be eating the romantic meal. Your partner does not have to be a neat freak for this to work. Everyone appreciates a clean house, particularly when they are eating. Think about draping fabric around different parts of the room. This can help give the meal a more elegant setting and, at the same time, hide any household object that could potentially kill the mood---such as a television. Select some background music for you and your partner to listen to. Pay attention to your partner's musical likes and dislikes and select accordingly. He will appreciate that you want to listen to what he likes and be impressed that you have been paying attention to his tastes. Also pay close attention to what your partner has said regarding her favorite foods. The meal does not have to be particularly fancy or extravagant. A more romantic gesture would be to cook something for your partner that you know she will enjoy. Do this for every part of the meal, including the dessert. If your partner drinks wine, pick one of her favorites as well. To create that extra air of romance, consider scattering rose petals around the room. Where to scatter them is at your discretion; one idea is to have them lead from the front door to the dinner table. Roses are synonymous with romance, and doing this can be a playful way of letting your partner find this surprise on his own. CraigF. "Tips for a Romantic Dinner at Home." Dating Tips - Match.com, https://datingtips.match.com/tips-romantic-dinner-home-7259079.html. Accessed 20 April 2019.